RICHMOND, Va. (AP) — Once an employee of the powerful CIA, Jeffrey Sterling now sits behind bars at a federal prison in Colorado. He bides his time by reading and writing and working at the facility’s recreational center. Nearly two years after Sterling was found guilty of leaking government secrets to a reporter, the 49-year-old maintains that he is innocent. Sterling is now pinning his hopes for an early release on a federal appeals court, which will soon consider whether to reverse his convictions. National Geographic – Host Richard Bacon discusses government surveillance with journalist Jeremy Scahill, spy master James Woolsey, and whistleblower Cian Westmoreland. At FCI Englewood, a federal prison, as I wait for my appeal to be heard, I am looking back on the presidency of Barack Obama. A supporter recently sent me a subscription to New York Magazine and the first issue I received, ironically, features the eight years of the Obama presidency, under the title “Hope and What Came After.” I was immediately struck by the title used to name the series of pieces about and from Obama on his tenure, because the same title could be used for my experience during the Obama years. Obama’s election, for many reasons, meant and embodied hope for me; what came afterward was anything but. As his presidency draws to an end, I can only hope that the change will once again have an impact on my life, maybe this time for the better. Obama’s ‘Factually Incorrect’ Edward Snowden Remarks: Game Over for a Pardon? Obama says he ‘can’t’ pardon Snowden. But one of his attorneys hasn’t given up hope. On your first day in office, you embraced the goals of ensuring the public’s trust and strengthening our democracy in a memorandum on transparency and open government. As your administration winds down and our democracy faces strong headwinds, we urge you to take the following important steps to empower citizens, Congress, and the courts to protect our system of separated powers and make sure that our government continues working as the founders intended. Our SecureDrop implementation for ExposeFacts is overseen by the Freedom of the Press Foundation and is only accessible using the Tor browser. As the Freedom of the Press Foundation notes, no one can guarantee 100 percent security, but this provides a "significantly more secure environment for sources to get information than exists through normal digital channels, but there are always risks." ExposeFacts follows all guidelines as recommended by Freedom of the Press Foundation, and whistleblowers should too; the SecureDrop onion URL should only be accessed with the Tor browser -- and, for added security, be running the Tails operating system. 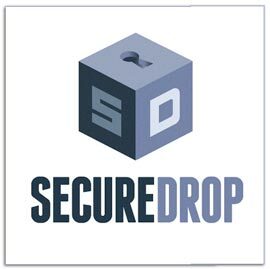 Whistleblowers should not log-in to SecureDrop from a home or office Internet connection, but rather from public wifi, preferably one you do not frequent. Whistleblowers should keep to a minimum interacting with whistleblowing-related websites unless they are using such secure software. Please note that ExposeFacts journalists reviewing SecureDrop submissions are not attorneys, and submitting information to ExposeFacts is not a guarantee of legal representation by the Whistleblower & Source Protection Project at ExposeFacts. If you are seeking legal assistance, journalists will forward your request to WHISPeR’s attorneys. If you have an immediate legal deadline, we recommend you speak with a private attorney.